"Radical Islam is one of the greatest challenges facing our nation." More than 250 French public figures — elected officials from all sides of the political aisle, representatives of different religions, intellectuals and artists — signed a manifesto against "the new anti-Semitism" brought to France by mass immigration from the Muslim world. The manifesto, published by Le Parisien, sounded the alarm against a "low-level ethnic cleansing" of Jews in Paris and demanded that the verses of the Koran which call for the killing and punishment of Jews, Christians and other non-Muslims "be obsoleted" by theological authorities. In a counter-manifesto published by Le Monde, a group of 30 French imams insisted that Islam is not anti-Semitic. "Anti-Semitism in Europe, in France, in Toulouse is no longer just by the far-right, but from political Islam." — Aviv Zonabend, Deputy Mayor of Toulouse. An estimated six million people — around one-tenth of France's population — live in 1,500 neighborhoods classified by the government as Sensitive Urban Zones (zones urbaines sensibles, ZUS). April 1. Interior Minister Gérard Collomb, in an interview with the newspaper Ouest-France, said that French authorities had foiled 20 jihadi attacks in 2017 and two in 2018. He also revealed that of the 26,000 known jihadis in France with S-files (fiche "S," those considered highly dangerous), only 20 were deported during 2017. April 4. French prosecutors called for Nicolas Dupont-Aignan, an MP for Essone (Île-de-France), to be given a suspended fine of €5,000 ($6,000) for "provocation to hatred or discrimination" for using the words "migratory invasion." While running as a candidate for president in the 2017 elections, he tweeted: "In 2016, the Socialists compensated for the declining birth rate with the migratory invasion." Dupont-Aignan said that his remarks were aimed at the Socialist Party rather than immigration and that, in any event, as an MP he is immune from prosecution. The public prosecutor disagreed: "We have a leading politician, a declared candidate in the presidential election, who publicly promotes, on his personal account, a conspiracy and racist theory born in the depths of the French far right...the thesis of 'the great replacement' by [French writer] Renaud Camus. A failure to condemn him would open the floodgates of uninhibited racist speech...against all those who do not belong to the national community, including migrants and immigrants." The court will decide the matter on June 6. "The 'Islam effect' explains radicalism much better than socio-economic factors. The social level of the family, the student's optimism or pessimism about employment or academic performance have no effect on the degree of adherence to radical religious ideas." April 4. France renewed border checks with countries in the EU's passport-free zone for a further six months, citing a continuing threat of jihadi attacks. Although the 26-nation Schengen zone allows for free movement across borders, France brought back passport checks at its borders after the 2015 Paris jihadi attacks. April 6. Paris Mayor Anne Hidalgo called on the French government urgently to provide shelter for more than 2,000 migrants sleeping in makeshift camps in Paris at two sites: about 800, mainly Afghans, along the Canal Saint-Martin in the north-east of the city and about 1,500, mostly Eritreans and Sudanese, under an overpass on the Canal Saint-Denis, farther north. Warmer weather means that more may arrive, mainly from Calais, where a heavy police presence has been deployed to prevent the return of the "Jungle" camp of migrants hoping to cross the Channel to Britain. "If nothing is done, in two weeks there will be 3,000," Hidalgo said. April 9. President Emmanuel Macron caused an uproar after he said that he wanted to repair church-state ties. In a speech to the Bishops' Conference of France at College des Bernardins in Paris, Macron said that "a president of the French republic who takes no interest in the Church and its Catholics would be failing in his duty." In a tweet, the newly-installed Socialist Party leader, Olivier Faure, wrote: "Secularism is the jewel in our crown. That is what a president of the republic should be defending." Jean-Luc Mélenchon, head of the far-left France Insoumise (France Unbowed) party, tweeted: "Macron in full-on metaphysical delirium. Outrageous. One expects a president, one gets a little priest." Interior Minister Gérard Collomb, who is responsible for government relations with religious groups, said that Macron's remarks reflected the need for greater spiritual awareness and did not undermine France's secular traditions. "What he is saying is that for human beings, there is not only the material world but also the search for absolute values, for spirituality, to find meaning in life," he said. "It is perhaps a new tone, but in no way does it break with the great tradition of secularism." April 9. A female jihadi named Mina B. was found to be in possession of a thumb drive containing the names and numbers of 2,626 French intelligence officers. The woman is being investigated for her ties to Larossi Aballa, a 25-year-old Islamic State jihadi who stabbed to death a policeman and his girlfriend in Magnanville in June 2016. Aballa was killed during a stand-off with police. April 10. A Muslim man was arrested in Givors after attempting to strangle his 26-year-old daughter's boyfriend. Police said the father disapproved of the boyfriend because he is not Muslim. April 10. Two men shouting "Allahu Akbar" ["Allah is the greatest"] threatened to kill a train conductor at the central railway station in Saint-Brieuc. More than a dozen police were deployed to detain the men, who were heard ranting against France and Roman Catholics. They were arrested on terrorism charges and then sent to a psychiatric hospital. April 11. A 28-year-old woman shouting "Allahu Akbar," and accompanied by her two children aged 2 and 4, threatened to blow herself up at an international festival in Cannes. She was arrested on terrorism offenses and then sent to a hospital to undergo a psychiatric evaluation. Her children were entrusted to social services. April 15. President Emmanuel Macron, in a two-and-a-half-hour television interview, said that radical Islam "is one of the greatest challenges facing our nation" and must be confronted by means of "a work of reconquest." He warned French citizens against "Islamophobia," which he claimed feeds on misconceptions about Islam: "Radical Islam is not Islam." Critics might disagree. Macron also said that Europe is facing an "unprecedented migration phenomenon that will last." Due to migration and demographics, he said, "Europe's destiny is tied to that of Africa." April 16. The Deputy Mayor of Orléans, Olivier Geffroy, ordered Muslims to stop praying on city streets. Local residents had accused the city of turning a blind eye to the recurring practice of Muslims praying on public spaces in front of a local mosque during Friday prayers. "This morning I received the persons in charge of the prayer room. I told them that it was not possible to pray in public spaces. They perfectly agreed." April 17. The arrest of a Muslim woman who refused to remove her veil sparked four days of riots in Toulouse. Police attempted to check the identity of the women after she was spotted wearing a niqab, a full-face veil, in the Bellefontaine district. French law prohibits the wearing of niqabs in public spaces. When the woman refused to cooperate, she was placed in a police car. At this point, more than two dozen people attacked the police, who were forced to use weapons and tear gas to escape the mob. Hundreds of Muslims then went on a four-day arson rampage in Bellefontaine and the neighboring districts of Reynerie and Mirail, classified as Priority Security Zones (zones de sécurité prioritaires, ZSP), lawless zones where French authorities are attempting to reassert state control. April 20. The Council of State (Conseil d'État), France's highest administrative court, ruled that an Algerian woman who refused to shake hands with elected representatives during her naturalization ceremony should be denied French citizenship. On April 11, a court ruled that her refusal to shake hands "on religious grounds" amounted to "a lack of assimilation." She appealed the ruling. In its decision, the Council of State ruled that the denial of citizenship complies with Article 21-4 of the Civil Code: "Such behavior, at such a symbolic place and time, revealed a lack of assimilation." April 20. Imam El Hadi Doudi, a 63-year-old firebrand Salafist preacher based in Marseille, was expelled to Algeria after a long legal process. Doudi, who was born in Algeria and does not have French citizenship, was imam of the as-Sounna mosque in central Marseille. His was one of the most high-profile cases in the French government's effort to combat radical Islam. The as-Sounna mosque was closed in December 2017 after allegations that Doudi was preaching hatred and violence. A government investigative report cited numerous sermons by Doudi in which he preached that Jews are "unclean, the brothers of monkeys and pigs." Women, he said, could not leave their homes without authorization, and apostates "need to be eliminated by the death penalty to protect Muslims." April 21. Around 100 activists with the anti-immigration Generation Identity (GI) movement erected a "symbolic border" at Col de l'Échelle near the French border with Italy. The Alpine pass is a "strategic point of passage" for illegal migrants entering from Italy, according to GI spokesman Romain Espino. 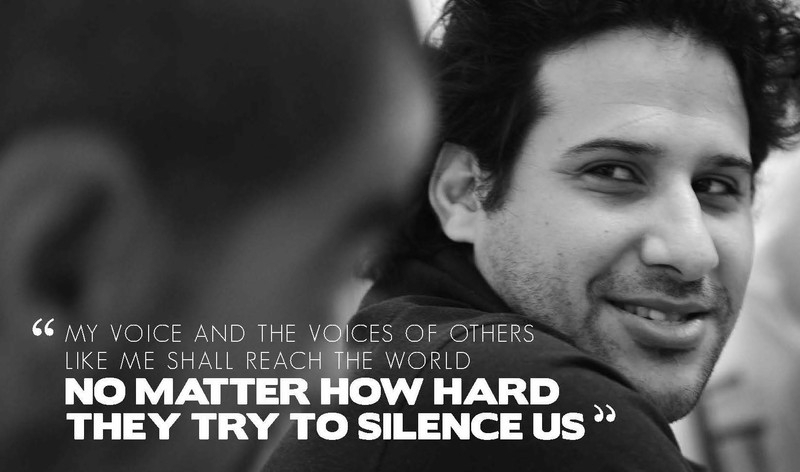 He criticized what he called "the lack of courage" by public authorities. "With a little bit of will, we can control immigration and borders," he said. Despite snow and freezing temperatures, more than 2,000 migrants are believed to have crossed into France at Col de l'Échelle since the beginning of 2018. April 22. More than 250 French public figures — including former president Nicolas Sarkozy, three former prime ministers, the former mayor of Paris Bertrand Delanoë, elected officials from all sides of the political aisle, representatives of different religions, intellectuals and artists — signed a manifesto against "the new anti-Semitism" brought to France by mass immigration from the Muslim world. The manifesto, published by Le Parisien, sounded the alarm against a "low-level ethnic cleansing" of Jews in Paris and demanded that the verses of the Koran which call for the killing and punishment of Jews, Christians and other non-Muslims "be obsoleted" by theological authorities. In a counter-manifesto published by Le Monde, a group of 30 French imams insisted that Islam is not anti-Semitic. April 23. After more than 60 hours of debate and 1,000 proposed amendments, France's lower house approved a controversial asylum and immigration bill. The government defended the bill as balanced, but it was criticized by those on the right for being too soft and by those on the left for being too harsh. The bill halves the waiting time for asylum applications to six months and also makes it easier to deport those turned down as "economic" migrants. The measure keeps asylum seekers awaiting deportation, including children, in detention for up to 90 days. The bill also reduces the time that asylum-claimers have to lodge their application from 120 to 90 days and gives them two weeks to appeal if unsuccessful. The bill now moves to the Senate, where it will be debated in June. April 23. Salah Abdeslam, the only surviving suspect in the Paris jihadi attacks of November 2015, was sentenced by a Belgian court to 20 years in prison for his involvement in a March 2016 gunfight with police in Brussels. Abdeslam, a 28-year-old Belgium-born French national of Moroccan ancestry, was extradited to France in April 2016 and remains in Paris, where he is being held pending a separate trial over the Paris attacks in which 130 people died. April 23. A Muslim woman was handed a four-month suspended sentenced for insulting a homosexual couple at a supermarket in Rueil-Malmaison. The Nanterre Criminal Court heard how the woman shouted, "You fagots you do not have the right to live. In Algeria guys like you would have their throats cut. Yes, I am homophobic." At her trial, the woman attributed her rant to fatigue and denied she is homophobic: "I insulted those fags but if they had been fat it would have been for being fat or blonde for being blonde." The woman was ordered to pay €1,350 ($1,600) to each of the two men and €3,000 ($3,500) to two anti-homophobia associations. April 25. Toulouse Deputy Mayor Aviv Zonabend, the only Jewish member of the Toulouse city council, said that approximately 600 Jewish families had left Toulouse and immigrated to Israel during the past five years due to rising anti-Semitism. "Anti-Semitism in Europe, in France, in Toulouse is no longer just by the far-right, but from political Islam," he said. "The future of the Jewish people in Europe is hopeless." April 26. Former cabinet minister Jean-Louis Borloo, tasked by President Emmanuel Macron to devise a strategy for rehabilitating France's banlieues — poverty-ridden and crime-infested suburbs with large migrant populations — presented his battle plan. The 60-page report lists 19 programs aimed at bringing about "radical change." They include a focus on education, employment and renovation of decaying buildings. An estimated six million people — around one-tenth of France's population — live in 1,500 neighborhoods classified by the government as Sensitive Urban Zones (zones urbaines sensibles, ZUS), priority targets for urban renewal. April 26. Paris prosecutor François Molins said that jihadis were "micro-financing" their activities through donors who contribute "small but significant" amounts of cash. He said that French intelligence had identified more than 400 donors in France involved in financing the Islamic State, and another 320 "collectors" based in Turkey and Lebanon, from where the funds were being passed on to jihadis in Syria and Iraq. Molins also noted that the January 2015 attacks against Charlie Hebdo cost €25,000 ($30,000) to carry out, and that the November 2015 attacks in Paris and Saint-Denis cost €80,000 ($95,000). He said that jihadis finance their operations through two primary means: zakat (charitable contributions) and ghanima (spoils of war). April 29. Toulouse Mayor Jean-Luc Moudenc threatened to fire Deputy Mayor Aviv Zonabend for saying, in an interview with the Hebrew-language Israel Army Radio, that there were "very many, too many" Arabs in the city. Moudenc condemned the remarks as intolerant and said that he hired a professional translator to check if what was published matches what was said. Zonabend said he had meant to say Islamists, not Arabs, and added that he was speaking in "hesitant Hebrew, a language I do not speak." He noted that he has nothing against the city's Arab population and that he has strong ties with the local Muslim community. April 30. 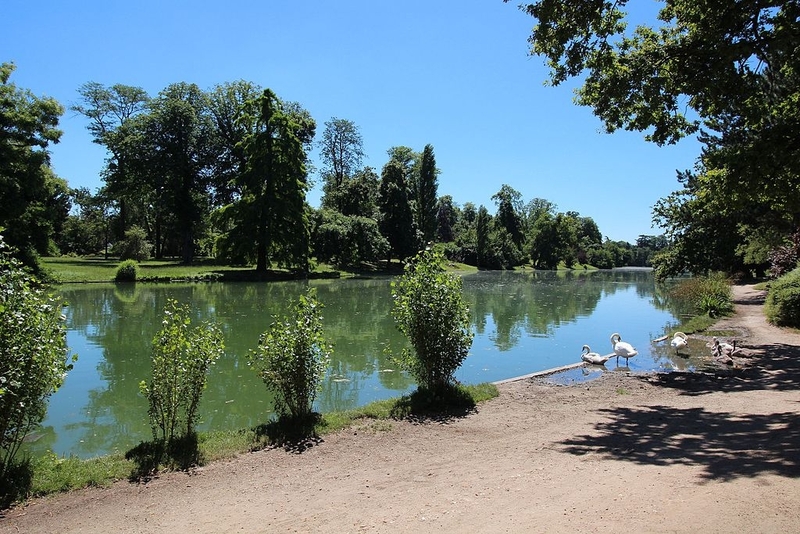 Members of the Communist Party and other far left groups in the Paris City Council introduced a proposal to establish a massive migrant shelter at Paris's iconic Bois de Boulogne park, which is situated in the city's upscale sixteenth arrondissement. The proposal is aimed at achieving a "territorial rebalancing" so that migrants are distributed across all parts of Paris. "Everyone must participate in the effort," said Jean-Noël Aqua, a Communist city councilor. "Solidarity is to be shown by all districts of Paris." This infiltration of migrants in one of the most attractive parks of Paris is totally repugnant. The new French law should allow this insanity to end once and for all. Reads like a dairy of "Self Destruction" by France. With official responses such as; jihadists are mentally unwell, the Koran does not denigrate Jews, Islam is a religion of peace, etc one has to wonder what will it take for the French governments to confront the reality of Islam. Obviously France, and Sweden are approaching something of a demographic tipping point beyond which Islam so stupid that they won't stand up for their nations and their cultures? It appears to be so, and for that, they deserve everything that is coming to them courtesy of their Islamic migrants. It is of course a pity for their children, grandchildren and all those of the line into the future because no one throws off political Islam. The Qur'an depicts the Jews as inveterately evil and bent on destroying the well-being of the Muslims. They are the strongest of all people in enmity toward the Muslims (5:82); they fabricate things and falsely ascribe them to Allah (2:79; 3:75, 3:181); they claim that Allah's power is limited (5:64); they love to listen to lies (5:41); they disobey Allah and never observe his commands (5:13). They are disputing and quarreling (2:247); hiding the truth and misleading people (3:78); staging rebellion against the prophets and rejecting their guidance (2:55); being hypocritical (2:14, 2:44); giving preference to their own interests over the teachings of Muhammad (2:87); wishing evil for people and trying to mislead them (2:109); feeling pain when others are happy or fortunate (3:120); being arrogant about their being Allah's beloved people (5:18); devouring people's wealth by subterfuge (4:161); slandering the true religion and being cursed by Allah (4:46); killing the prophets (2:61); being merciless and heartless (2:74); never keeping their promises or fulfilling their words (2:100); being unrestrained in committing sins (5:79); being cowardly (59:13-14); being miserly (4:53); being transformed into apes and pigs for breaking the Sabbath (2:63-65; 5:59-60; 7:166); and more. They are under Allah's curse (9:30), and Muslims should wage war against them and subjugate them under Islamic hegemony (9:29). The recently published manifesto signed by several hundred of France's leading citizens courageously addresses the Islamic elephant in the room - the numerous verses in the Quran that encourage the use of violence against Jews and other non-Muslims. These hateful verses are responsible for the deaths of many millions of unbelievers since Islam's founding The blinders imposed by political-correctness and multiculturalism require us to ignore this deadly elephant and seek more acceptable explanations for violent attacks by radicalized Muslims such as unemployment, lack of education, alienation from society, retribution for the alleged mistreatment of Muslims by western democracies, or the very popular excuse of mental illness. Until Islam is cleansed of its hatred and Muslims world-wide learn to live peacefully with their non-Muslim neighbors, innocent lives will continue to be claimed by adherents to the euphemistically named religion of peace. France is gone. The people in control will never take the sort of action necessary to drive the invaders out of their country before they become a major political power, and begin to bend France to their will. "The manifesto, published by Le Parisien, sounded the alarm against a 'low-level ethnic cleansing' of Jews in Paris and demanded that the verses of the Koran which call for the killing and punishment of Jews, Christians and other non-Muslims 'be obsoleted' by theological authorities." They are too stupid to realize that they can't change Muslims, or Islam, to conform to their ideas of proper behavior. If the President of Egypt, the King of Jordan, and other of the more sane and civilized Muslim rulers can't do anything to moderate Islam, the French infidels are surely not going to. They could expel Muslims from France, and inflict the harshest level of punishment (including death for violent crimes) on those they have no way to deport, who refuse to obey French law -- but, if it isn't done quickly (and there's no sign it's being considered as a possibility), it will be too late. "An estimated six million people — around one-tenth of France's population — live in 1,500 neighborhoods classified by the government as Sensitive Urban Zones (zones urbaines sensibles, ZUS)." "Sensitive Urban Zones" otherwise known as NO-GO ZONES where it's not safe for the French to go in their own country, not even safe for the police. i see that the french nazis are busy suppressing free speech, violating their own laws (of the immunity of legislators to prosecution) in order to advance their nazi agenda. so what is their nazi agenda? it is to cover for pious muslims as long as possible so that society collapses under incessant attacks, so that the hard left can swoop in and easily seize power. of course, i'm a knuckle-dragging right-winger who refuses to put down his bible and his gun (they got those 2 correct, at least), so what would i know? sieg heil, marcron! "The manifesto, published by Le Parisien, sounded the alarm against a "low-level ethnic cleansing" of Jews in Paris and demanded that the verses of the Koran which call for the killing and punishment of Jews, Christians and other non-Muslims "be obsoleted" by theological authorities. In a counter-manifesto published by Le Monde, a group of 30 French imams insisted that Islam is not anti-Semitic." It takes more than patience to even entertain a conversation with such futile, irrational nonsense. Nothing can possibly be gained -- nothing intelligent can grow out of such repartee. When proven wrong in a debate they're quite capable of blowing the place up. So the West's solution is to let them have their way as if that's a solution. What it means is since the two can't live together one has to acquiesce and relinquish any sovereign right to their homeland -- blatant piracy. It is obvious that the EU is more than willing to burn Israel on the altar of their sacred cow as a reasonable sacrifice. We in the West have a great deal more to fear from our politicians and lefties in our own countries. They are so terrified of attacks by Muslims that they tend to side with them in the vain hope that they themselves won't suffer an attack! Selfishness is the order of the day with these people, who consider their views to count more than anyone else's. Combined with a nominal amount of cowardice and there you are, the modern appeasing dhimmi. These people don't care for anyone but themselves and are so eager to sell out country and people to a murderous cult. Modern day Europe is on a cliff edge, on the way to becoming an Islamic outpost, a new Caliphate, aided and abetted by politicians without backbones and traitors who would sell their own Mothers for a tenner! The Jews will leave Europe and that civilization will decline, as it always has historically. As to the hidden (a la Saul Alinsky) Socialist agenda, it is fact that the Muslim immigration into Europe is offered as a direct solution to the declining birth rate. That is precisely Merkel's plan, for example, while she postures to be morally superior. European 'leaders' forget that, in order for their Welfare State tactic to work, the incoming immigrants have to work and pay taxes. And not live off the Welfare system----or take crime as their profession. Not to mention that event that nothing will stop the ultimate failure of the Socialist Welfare State. Getting closer and closer to the liberal elites of Paris...will they come out of their sanctuaries to offer food to homeless camps, or simply flee to wherever elites flee until the dust settles? The plan to redistribute migrants even in the more salubrious, upmarket areas of Paris sounds eminently fair. Why should the poor and struggling Parisians hog all that joy, those manifold advantages of diverse cultural experience ? It is the wildlife for whom I feel most sorry. Halal swan, anyone ? ensure that it is not continually broken. If it is broken regularly, then the penalty must be raised. No matter who arrives in France, the law must be upheld. no reason why Macron can't imitate Victor Orban. There is no point in trying to reform something that is rotten to the core. The ten commandments are fundamental to all Christian and Jewish societies. The 'prophet' of Islam, however, broke all of those commandments and encouraged his followers to do the same. There is no way that Allah and Jehova can be the same God.